“I am able to teach them how to weight shift their COG over their BOS to improve their stability when performing a dual task to retrain their brain. 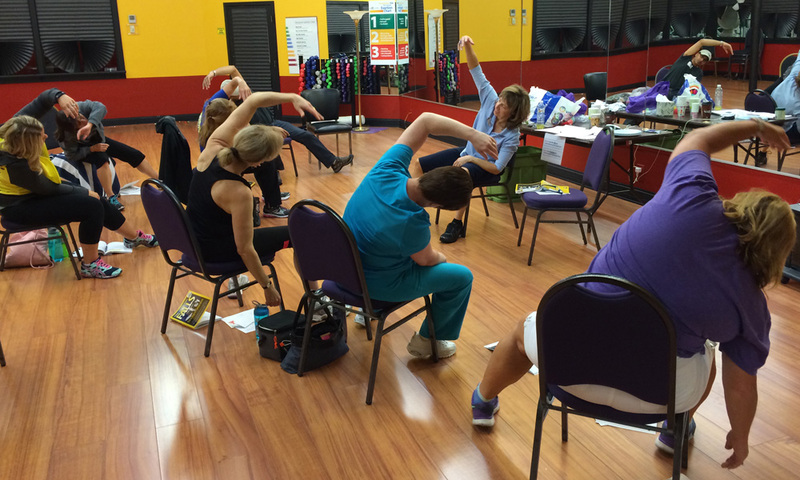 So cool to see their improvement in stability!” Jennifer N., PT, DPT, Largo, FL April 5, 2017. This interactive training is conducted in a relaxed environment where students learn through practical application and are given ample opportunity to ask questions. OHIO: The Ohio Occupational Therapy Section of the Ohio Occupational Therapy, Physical Therapy, and Athletic Trainers Board has approved this course for 8 CEUs. The Ohio Physical Therapy Association has approved this course for 8 CEUs. Fall Prevention Training Services, LLC is recognized by the American Council on Exercise as a Continuing Education Provider. Group discount rates are available. For more information email us at info@fallpreventiontrainer.com or call (844) 2-STOP FALLS or (844) 278-6732. Click here for our course brochure and here for our terms & conditions. If you have any questions regarding our events, please contact us at (844) 2-STOP FALLS or (844) 278-6732.